Freebie Week continues with those printable calendars I'd mentioned back in this post. These come free to you in a printable PDF, which you can grab right here. I'm planning to use these each week in my Project Life album in 2013. I chose the Monday through Sunday format for next year (this year I'm doing Sunday-Saturday) so my weekends wouldn't be split up any longer. I'll be adding these to my title cards, most likely with the specific week highlighted in some form. Of course they'd also look good attached to a journaling or filler card. The printable comes in black, but if you'd like to recolor these or use them on top of photos or in your digital Project Life, you can grab the PNG & ABR formats here in my shop, for $1.50. I also want to take a second here to mention how incredibly time consuming it is to make calendars in Photoshop. I am sure there's an easier way that I'm not aware of but lining up all the different numbers in the grid perfectly, and doing it for each different month layout is rough. So happy that I finished them and can use them all year in 2013. Keep checking back all week for more freebies! Thank you so much, these are amazing! You are a star I take my hat off to you for creating these in PS, I know just how long it takes! Thanks! So glad you like them :) and yeah, man they take forever! Thanks so much, Melissa! 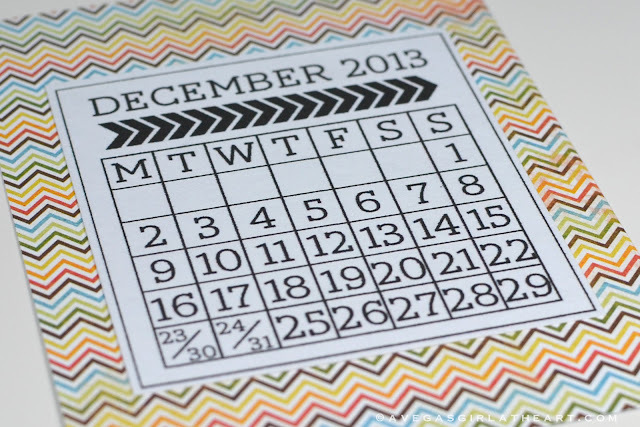 I know these great calendars will make a great addition to my Project Life album for 2013! I'm looking forward to the rest of the week! Thank you for sharing everything that you have! I truly appreciate it! :) Yay! Glad you like them. I wasn't sure how the M-S format would go off with everyone but I'm hearing good feedback. So happy. LOVE LOVE LOVE you went with a Monday to Sunday calendar format.. that's how our calendars are set up here (in Australia) and how I do my PL . Thank you ! Love these! Perfect for pl and everything too! I wanted to take a minute to thank you and tell you I really appreciate your effort with all these freebies!!!! Aw you're welcome. Thanks so much for the lovely comment! PL newbie here :) I will be starting my first PL album on January 1st, which is a Tuesday. I've been wondering how to split up the weeks... Would my first week just be short since it starts on a Tuesday? Or should I have all my spreads start on a Tuesday? I realize I'm probably over-thinking this, but I would hate to get a few weeks or months into and wish I had done something different! PL newbie here :) I will be starting my first PL on January 1st, which is a Tuesday. I've been having a hard time with deciding when to start/end my weeks. Should each week start on a Tuesday since my first day will be a Tuesday? Or should that first week just be shorter? I realize I am over-thinking this, but I would hate to get a few weeks or months into it and wish I had done it differently! Would love any opinions! My first week starts on the 1st, so it will just be shorter. I don't mind if the first or last week of the year are a couple days shorter or longer. Doesn't bother me. I don't like splitting the weekend though, after a full year of doing so. Thanks so much! I love this idea and for some reason I always struggle with the title card for each week. This takes the hassle right out of it for me and they are adorable! thank you so much for sharing these calendars ! 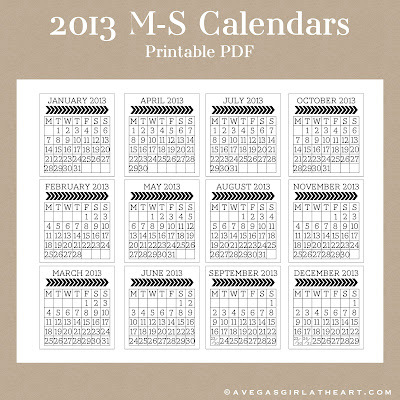 OMG...found you on Pinterest, and am in LOVE with your ampersand download and your calendars. Our styles are very similar, so I'll be stalking you from now on! Thank you so much for those calendars. PS is a mystery to me...I have to relearn it every time i turn it on. So I can imagine how much time it took to create them. You rock!! Thank you so much for this....much appreciated and however long you think it might have taken you to make calendar in photoshop, it was certainly worth it. Great job. Thanks a million! Thank you so much for making this calendar and sharing it. I found it via Pinterest. Great job. Thanks again. I love your printables and this calendar is absolutely perfect for my agenda (I'm not actually doing PL but I've decided to try and implement aspects into my planner and see how it turns out). Thanks a lot and thanks for sharing! Thank you so much for sharing your work. I know how time consuming it is to make these printables. 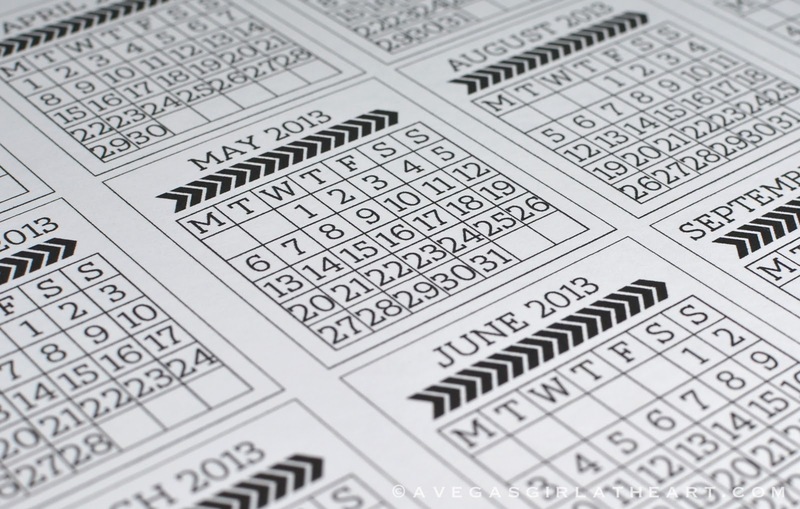 I love calendars and use them on many projects. do you by any chance have these in the Sunday start? I love the design! I don't, sorry! If you really want them I can create a custom order through my shop for you - it's a couple of hours of work though, so it would be about $15 for the custom order. I am loving your take on PL this year. The little bits added from previous core kits go so nicely with the paper you chose. Thank you also for the calendar freebie!! I am also a new PLer and I loved your idea and am thrilled that I get to just print these out and use them! Thank you SO MUCH for your hard work! Thank you so much for the calender freebie! ♥ And all the inspiration on your blog! 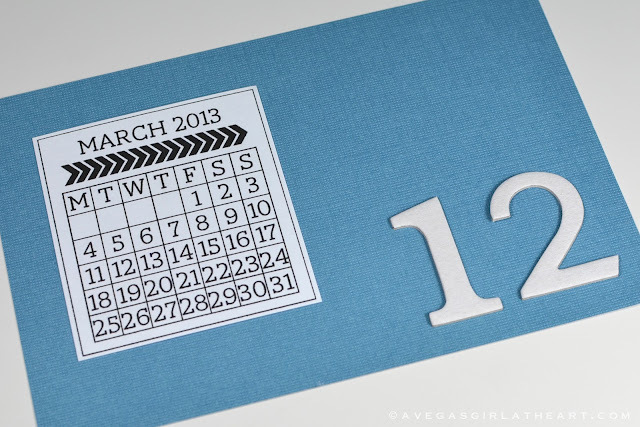 Thank you for this freebie.I was looking for simular calendars and couldn't find one quite this gorgeous! I don't, and I'm not sure that I will-these took me several hours to do so I am not too keen on making a new set, sorry. This calendar is beautiful! Can you make it for 2014 as well!!! I would love it!